Information: In 1872 a priest from Valletta, Rev. 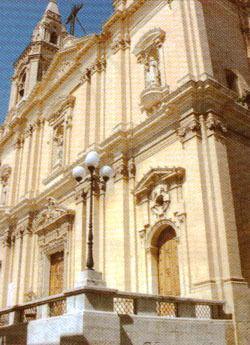 Paul Vella, built a church in Sliema with the idea of dedicating It to our Lady of the Sacred Heart. In 1881 the church was given to the friars minor, and in 1918 It became a parish church. Priest: Parish Priest: Rev Goerge Bugeja O.F.M.